Emergency room doctors and other staff members must, by the very nature of their work, make fast, accurate decisions. Patients’ well-being, and sometimes their lives, depend on it. When medical professionals fail to make a timely decision, or make the wrong one, the results can be devastating, if not fatal. In order to ensure the best outcome for each patient who passes through ER doors, physicians, nurses, specialists, technicians, and other hospital employees must uphold a certain standard of care. Their ability to implement, abide by, and execute appropriate procedures is essential to the health and well-being of those who rely on them for proper treatment. When doctors, hospitals, and their staff fail to provide adequate care in emergency rooms, they can be held liable for damages through medical malpractice litigation. As a patient who has suffered harm, or a family member who lost a loved one through wrongful death, you can pursue compensation for medical expenses, lost income, necessary future accommodations, and pain and suffering. At Fronzuto Law Group, our seasoned medical malpractice attorneys provide strategic, thoroughly-researched, evidence-based representation to victims who have suffered harm as a result of medical negligence. Led by founder Ernest P. Fronzuto, who is recognized by the New Jersey Supreme Court as a Certified Civil Trial Attorney, we tackle the most challenging cases of pediatric and medical malpractice, including those involving rare genetic conditions, birth injuries, and cancer misdiagnosis. Utilizing our extensive experience, knowledge, and resources, we have obtained over $25 million in verdicts and settlements in the last 3 years alone. We couple this aggressive advocacy with an unwavering commitment to personalized client service, forging strong bonds with our clients that perpetuate long after the conclusion of their case. To receive a free case evaluation, please contact our New Jersey offices today by calling 973-435-4551 (toll free at 888-409-0816). You may also contact our law firm online. When you go to the emergency room – whether it’s via ambulance or private vehicle – you expect to be treated with a high standard of care by the doctor who evaluates you. Unfortunately, emergency rooms can be incredibly chaotic places that are understaffed and overwhelmed at precisely the moment when a patient needs urgent, critical care to save their life. Despite the difficulties faced by ER doctors, nurses, and other personnel, there is still no excuse for medical malpractice in the emergency room. In fact, the severity of many injuries that necessitate a visit to the emergency room makes it especially important for ER doctors to be fully prepared and at the top of their game when treating patients. An emergency room physician or nurse who makes a mistake at a critical moment may doom the patient to catastrophic injury or wrongful death. Failure to admit a patient for observation or care: A patient who goes to the emergency room is likely to be in need of immediate treatment. When an ER doctor fails to admit the patient so that appropriate steps can be taken to observe and evaluate the patient’s condition, there is a heightened risk of significant illness or injury going undiagnosed. Failure to stabilize the patient: When a patient arrives at the ER and is suffering from a serious injury, such as an injury causing significant bleeding or one that is obstructing their breathing, emergency room staff needs to stabilize the patient by controlling their bleeding, clearing their airway, immobilizing their body, or taking any other steps needed to prevent shock or exacerbation of the injury. Failure to thoroughly evaluate the patient: Emergency room doctors may be under intense pressure to quickly diagnose a patient’s medical condition so that immediate treatment can be provided. However, it is important that ER doctors adequately evaluate the patient and not act too quickly before arriving at a diagnosis. This is especially important when the patient is suffering from a serious condition that requires urgent treatment and care. Failure to order appropriate tests: Given the circumstances that often exist when a patient visits the ER, it is imperative that doctors order necessary tests so the patient’s medical condition can be accurately diagnosed and he or she receives the appropriate treatment. Failure to diagnose or treat a medical condition: ER doctors need to make sure that a patient’s medical condition is accurately diagnosed. This is especially important in the emergency room context because patients often go to the emergency department for an injury or illness that requires immediate, even life-saving treatment. Delayed diagnosis: A visit to the emergency room typically indicates the need for urgent medical intervention. Any delay in diagnosing the patient’s condition can have catastrophic consequences, particularly when the patient is suffering from a serious condition such as a stroke or heart attack and every second matters. Delayed treatment: Whether there is a delay in treatment of the patient due to understaffing in the emergency room or due to a delayed diagnosis by an ER doctor, the consequences of delayed treatment can be fatal. Laboratory errors: ER doctors often rely on lab test results when determining what type of medical treatment to provide a patient. When a lab technician makes a mistake, or when the lab tests utilize faulty equipment, the end result may be a misdiagnosis that causes the physician to wrongfully send the patient home from the emergency room. Failure to monitor the patient: Emergency rooms can be chaotic and hectic, particularly when they are understaffed and there are not enough physicians and nurses available to monitor and treat patients. If emergency room staff fails to adequately monitor a patient who has been admitted to the ER, a sudden change in the patient’s condition may go unnoticed. Medication errors: Although medication errors are responsible for countless emergency room visits, medication errors in the emergency room are also a serious problem. When a physician working in an understaffed ER rushes while determining the best course of treatment for a patient, or when an ER nurse doesn’t look closely enough at the lab results or medical charts, the result can be a medication error that causes significant harm to the patient. Infection caused by contamination or unsanitary conditions: The hustle and bustle of an emergency room might not allow for a lot of time between one patient being sent home from the ER and another patient being admitted to the ER. The quick turnover of patients, coupled with failure to properly clean or sterilize medical instruments and beds, can lead to potentially deadly infections. Surgical errors: Surgery always poses serious health risks to the patient. Those risks are magnified when the patient needs to undergo emergency surgery, especially when doctors don’t have enough time to take all the necessary precautions to ensure the patient’s well-being. Anesthesia errors: Before a patient undergoes emergency surgery, an anesthesiologist may need to administer sedating drugs to ensure that the patient does not suffer unbearable pain and trauma. Given the powerful dosages of anesthesia that are typically administered before surgery, even a slight error can have severe consequences. Errors related to lack of informed consent: When a patient is admitted to the ER with a significant injury or medical condition that requires quick action by doctors, it may not always be possible to obtain informed consent from the patient. However, depending on the circumstances, it may still be necessary for ER doctors to get informed consent prior to performing a particular surgical procedure on the patient. Due to the many individuals and organizations that may be involved in the treatment process of a patient in an emergency room setting, there are a host of parties who may be found negligent and thus, liable for your injuries. Emergency room error claims may be brought against physicians, nurses, anesthesiologists, medical technicians, laboratory technicians, emergency room staff, the hospital, emergency medical services (EMS), pharmaceutical companies, and many more. Given the sheer number of parties who may potentially be legally responsible for the exacerbation of your illness or injury, it is often necessary for an experienced medical malpractice attorney to conduct an extensive investigation to determine the identities of all liable individuals and entities in an ER error case. 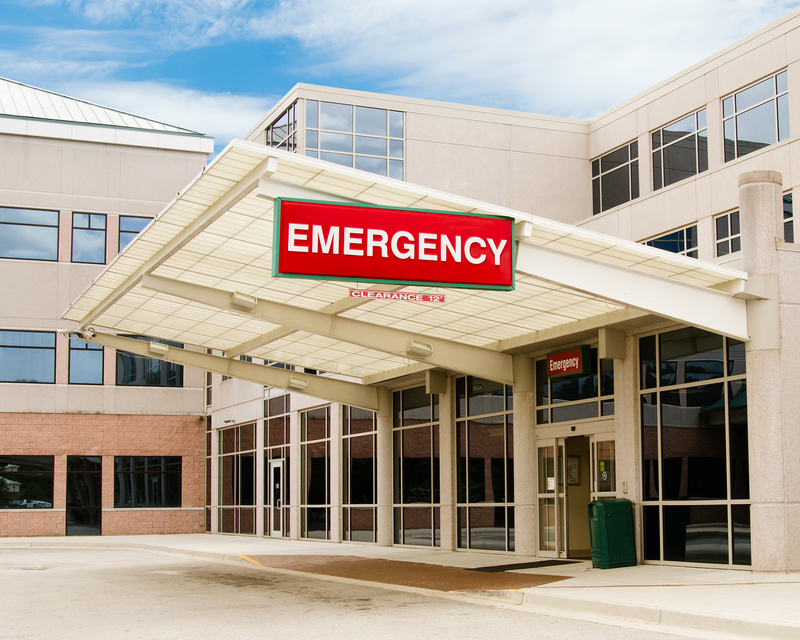 Winning an emergency room error case stemming from medical negligence can be difficult. 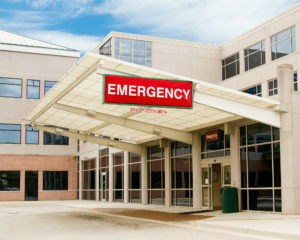 You will need to prove certain crucial elements, such as the existence of a doctor-patient relationship, evidence of negligence by an ER physician or nurse who breached the appropriate standard of care, and a causal connection between the insufficient or negligent emergency room treatment and your injury. Hospitals mobilize entire teams of lawyers who are tasked solely with avoiding liability for claims of medical malpractice and hospital negligence. As such, it is essential to enlist your own team of experienced medical malpractice attorneys. At Fronzuto Law Group, we conduct a thorough investigation into every aspect of your case, enlisting leading medical experts to support your claim for damages. We seek full compensation to accommodate any and all costs associated with your medical expenses, loss of income, rehabilitative treatment, necessary future accommodations, and pain and suffering. We champion your cause every step of the way to ensure that you receive the compensation you deserve and we do not charge you a cent until we achieve a recovery. If you or someone you love has suffered harm as a result of mistakes in the emergency room, our New Jersey medical malpractice lawyers are poised and prepared to secure you a favorable outcome. Contact one of our offices in Passaic County or Essex County, NJ today to schedule a free initial consultation about your emergency room error claim: 973-435-4551 (toll free at 888-409-0816).